My name is Roman and my call sign is SQ2RH, these pages are about one of my hobby. I enjoy ham radio and electronics since many years when I was still a teenager. 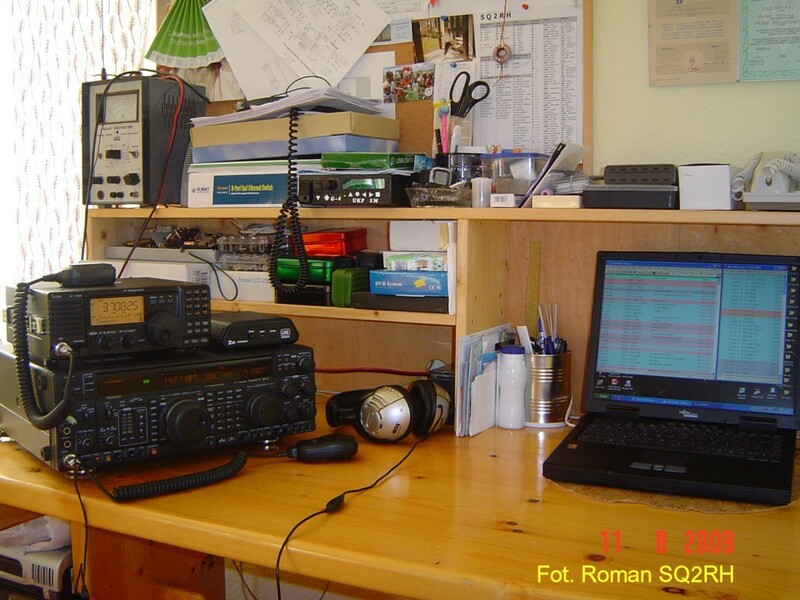 I started this hobby in 1981 as SWL in Amateur Radio Club SP2ZCE in Rumia, founded by Jerzy SP2DVH (SK in 2016, one of the best CW operator I have ever known). 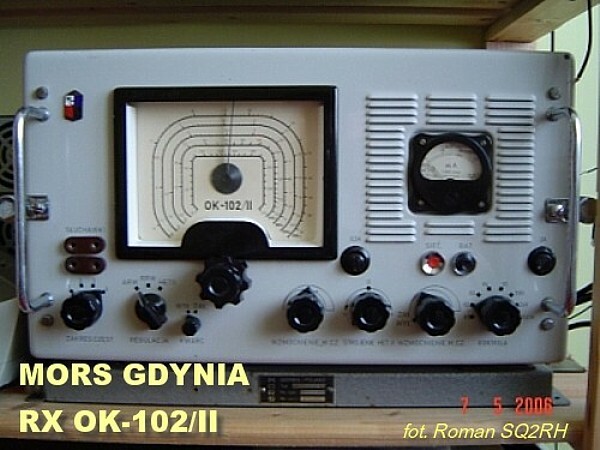 Since that time I am a member of Polish Amateur Radio Union (PZK - Polski Zwiazek Krótkofalowców) till now with a break from 1986 to 2002 for education time. Since 2002, until 12th October 2009 I was very active member of Maritime Radio Club SP2ZIE called "Schooner" in Gdynia. The first "B" category license I received in June 2002, than I upgraded it up to "A" category in April 2005. What I truly love in this hobby is home brewing, I am also the 6m enthusiast, satellite communications and digital modes are also in field of mine interest. 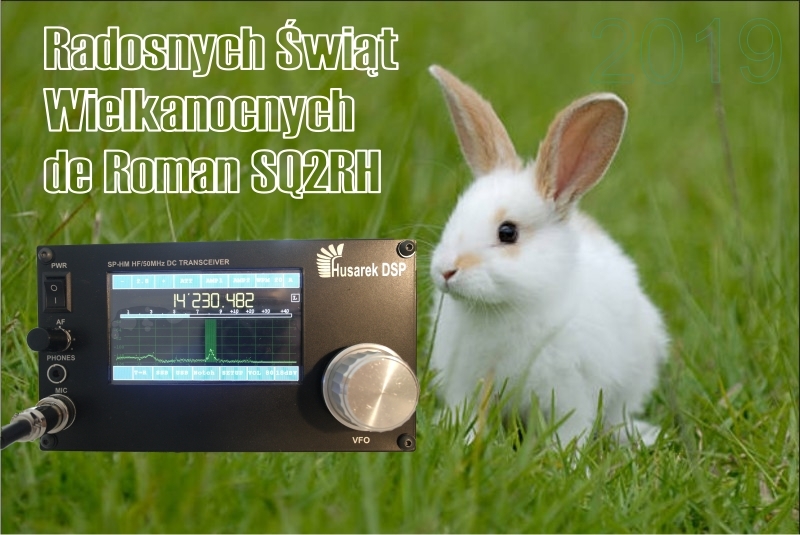 The first two ways SSB QSO I made on 21 July 2003 with the amateur radio station S58J at 21:06 UTC, based on homemade 20m/6m transverter connected to my first factory bought transceiver IC-718. The power delivered to the homemade 6m delta loop antenna was only about 300 till 500mW. In 2004 I joined to the West-European measuring field of the Space Shadow Project where I acted as one of the European master station. Other interests: Astronomy, space technology and science, electronic music (e.g. Jean Michel Jarre, Klause Schulze). Hope to hear you on the bands. Give me a call. HF+6m base transcivers My radio shack has hosted many transceivers depending on the time e.g. 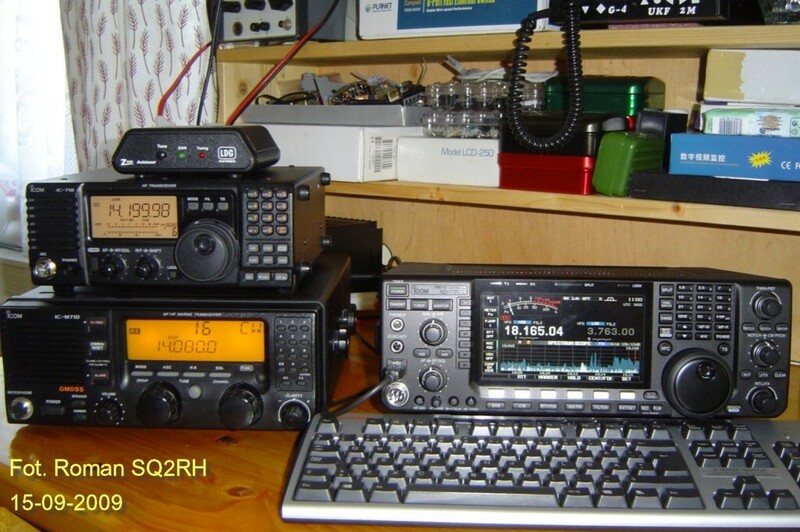 IC-718, IC-M710, FT-847, FT-857d, IC-735, IC-7600, FT-1000 Mark V Field, FT-450, QRP Plus, Clansman PRC-320 plus other home made and QRP equipment. The last one Yeasu FT-2000. 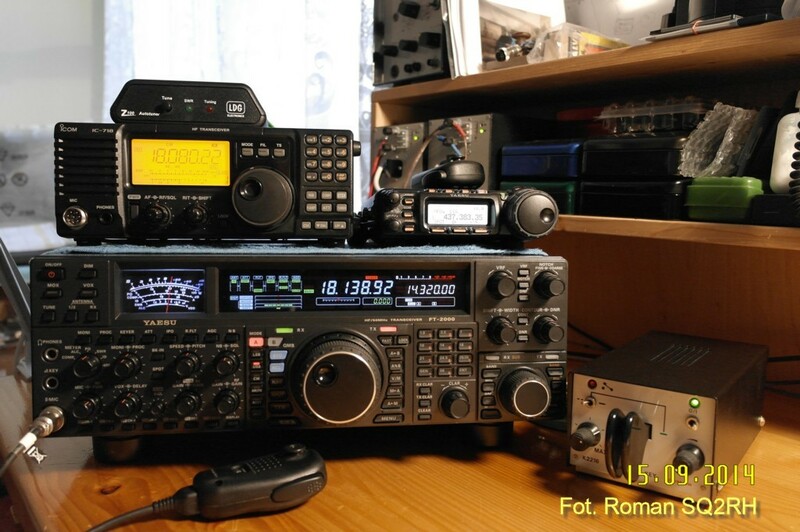 There is one very special rig in my radio shack, it is ICOM IC-718, my first brand-new base HF transceiver, this rig is nothing special from the technical point of view, it is easy to use quit small and quite strong performer, because it was first it has place here for long time, I suppose. I purchased this rig in the beginning of April 2002. Mine IC-718 includes (UT-106) AF DSP Unit, (CR-338) High Stability Crystal Unit and (FL-52A) CW/ RTTY narrow 500Hz filter (455kHz IF). I am very pleased to have this rig. 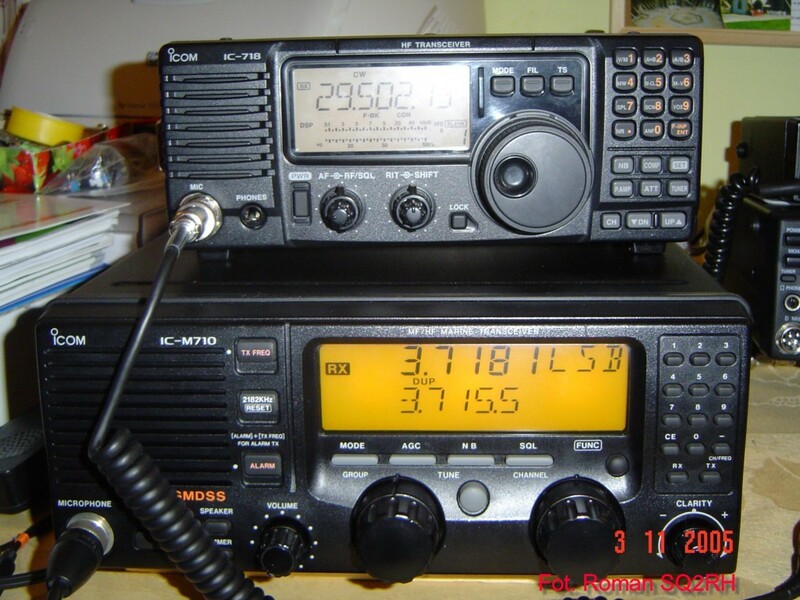 My second rig, IC-M710 + IC AT-130E which is commercial grade MF/HF SSB/CW marine equipment. I bought it from second hand as partly damage in the middle of 2004. 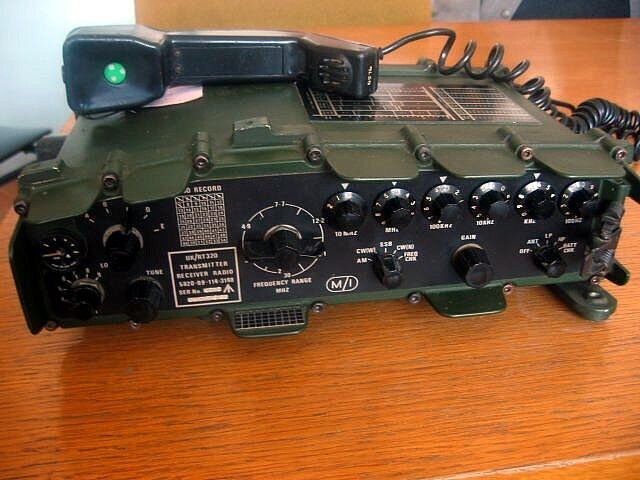 IC-M710 is not typical transceiver, without very known functions like: VOX, ATT, P. AMP, COMP, MIC Gain and traditional tuning DDS/PLL, but after repaired and some additional adaptation changes it works grate on amateur bands, especially on CW and digital modes, delivering 150 watts of power, 100% duty cycle. 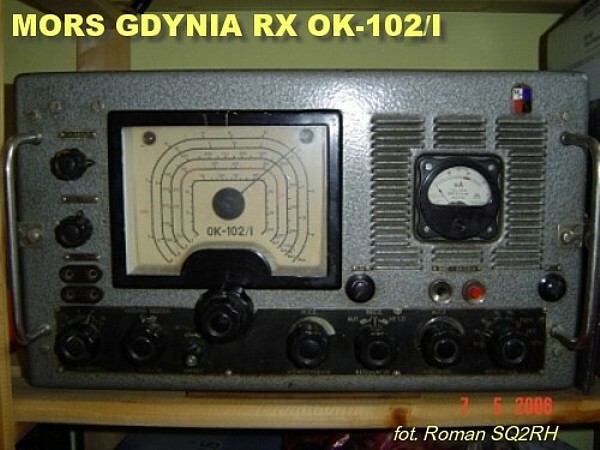 As far as I know this model of transceiver is used by only few hams all over the world and probably only one in Poland, what makes it unique. 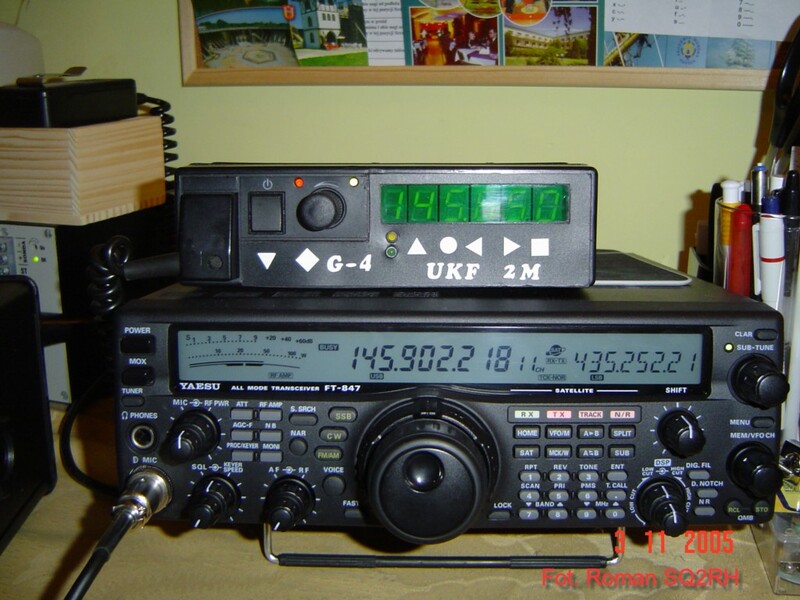 VHF equipment G4 (2m FM mode only with output powetr 10 watts), modified from professional RADMOR-3035 FM. 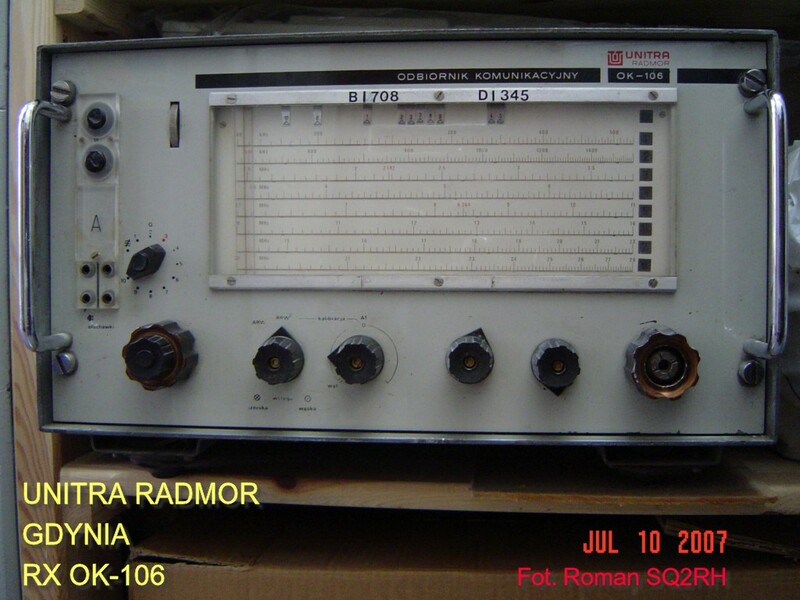 RADMOR S.A. is the largest manufacturer of mobile VHF/UHF radio communication equipment in Poland. They produce handheld, mobile and stationary radiotelephones, retransmission stations, radio modems and data transmission modules, military radio communication systems including handheld, manpack and vehicle radio stations. VHF/ UHF/SAT mobile equipment For the mobile operation in the beginning of May 2007 I purchased new Yaesu FT-857d + ATU LDG Z100. 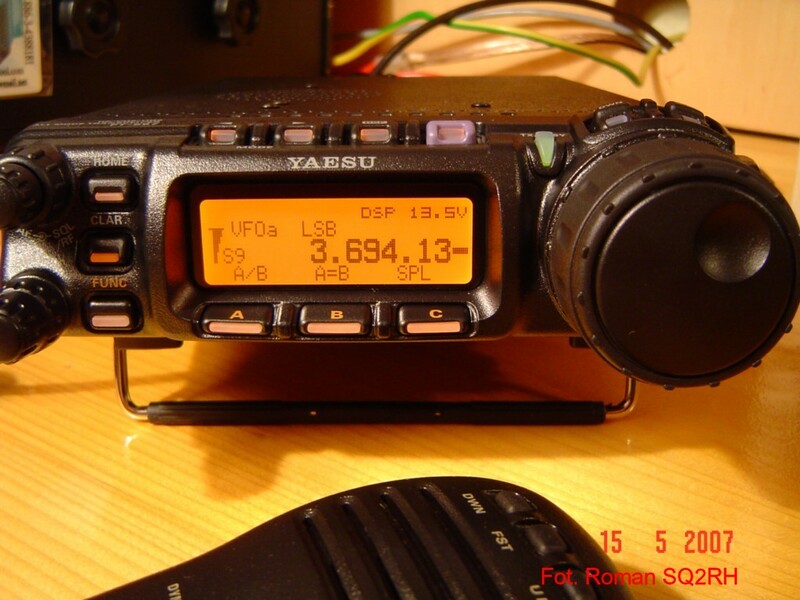 The Yaesu FT-857d is the world's smallest HF/VHF/UHF multimode amateur transceiver. Really, it is amazing how HF+6m+2m+70cm has been crammed in this little black box. Mine FT-857d includes DSP-2 (Digital Signal Processing Unit) and two additional crystal filters, 300 Hz for CW and 2300 Hz for SSB. In the end of August 2008 I fitted my FT-857d with external automatic antenna tuner model LDG Z-100. 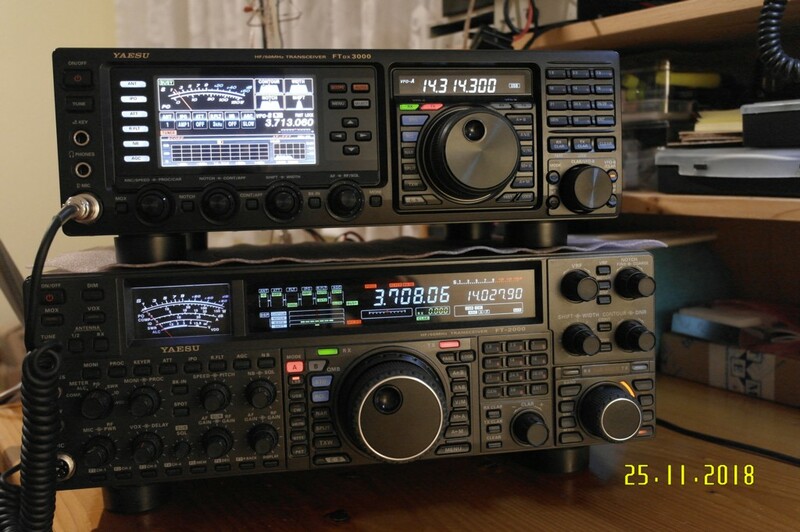 I would only observe that FT-857d is not as user friendly as base station transceiver, even very simple like mine IC-718 or IC-M710 but impressive price of kit and abilities makes it the same. 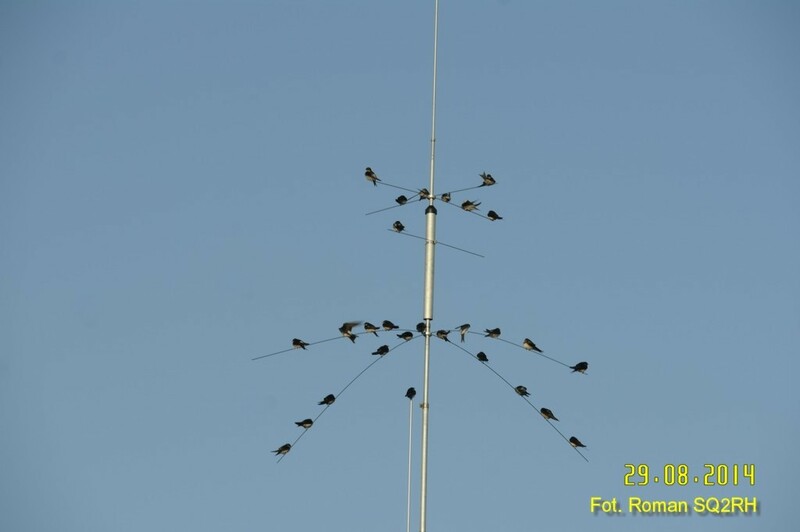 HF antennas my HF antennas system (current setup since 26 July 2014 till now) consists of one multiband GP7dx antenna. This is a multi-band (8 bands, 40m till 6m) GP type antenna specifically designed for DX operation, produced by my firend Waldek SP7GXP. This antenna is installed 5.5m above the ground on a steel mast that can be lowered for engineering and maintenance work. For 160m and 80m bands I use simple 2 x 40m dipol antenna. 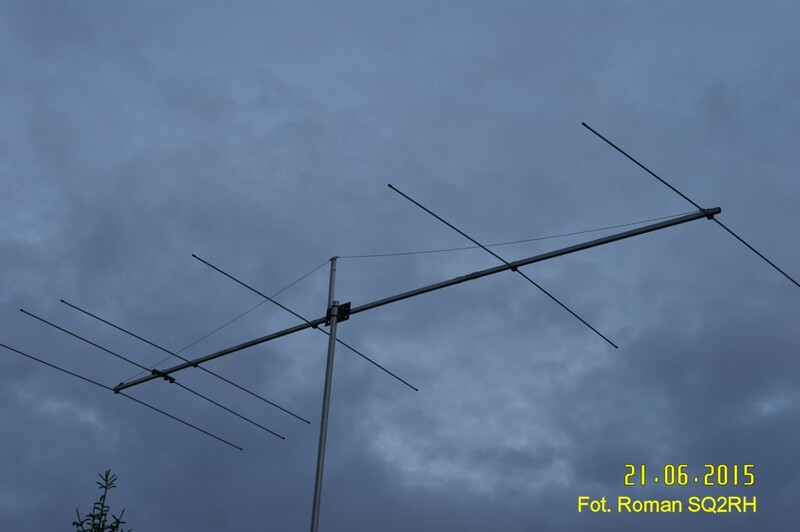 6m/ VHF/ UHF/ SAT antannas in the 6m band I use two antennas since 21-06-2015 homemade 6 elements yagi based on the YU7EF project and others homemade two 3-elements yagi antennas based on the DK7ZB project (currently not installed). 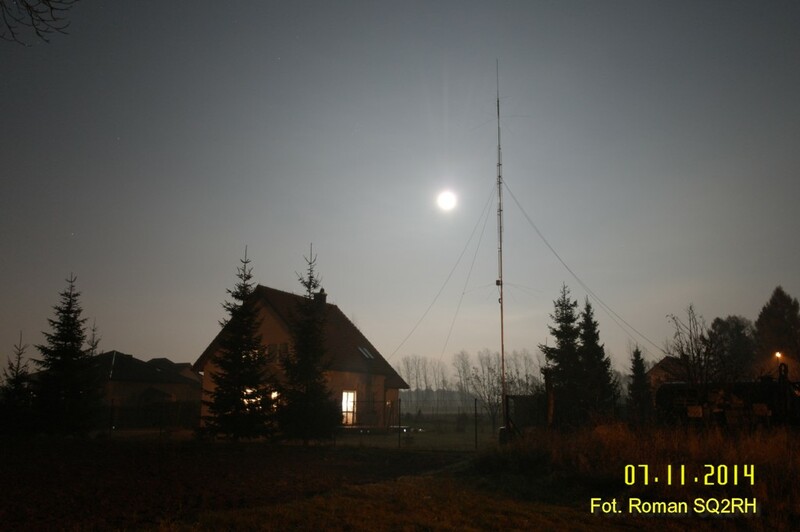 2m band (FM mode) is operated by simple home made J-Pool antenna, it works fine for local QSOs till max 30km. I use it for listening ISS and repeters too. The second 2m/70cm antenna is QRB-300 duobander GP type antenna (Gain: 6.5/9.0dB, Lenth: 2.7m, Wavelength: 2x5/8, 4x5/8). This antenna is very similar to DIAMOND X200n I had in the past. 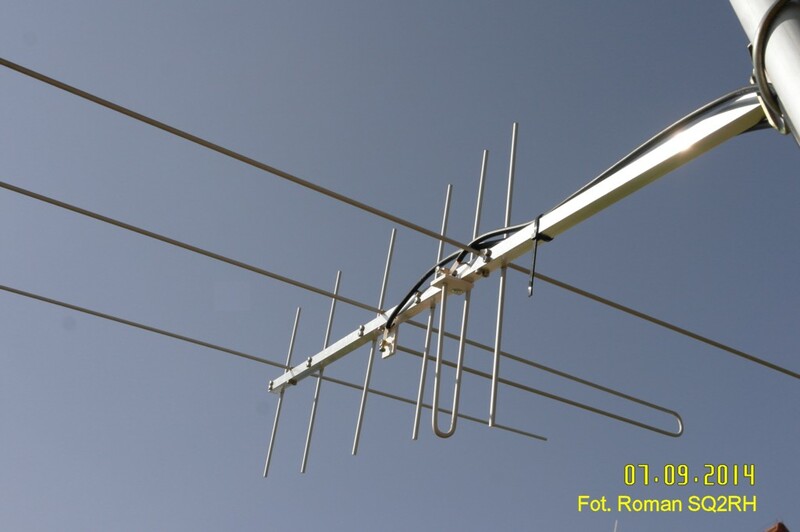 For amateur satellite operation I use home made cross band 2m/70cm arrow antenna.